Are you looking for a great read? Do you want to support the Pima County Public Library? Then come to the next Friends of the Pima County Public Library Book Sale located centrally at 2230 N. Country Club Road (SE corner of Grant and Country Club). Community Sales are every month except July. To thank our members for their support, Members’ Sales are held the weekend BEFORE the Community Sale. Not a member? Don’t worry! You can become a member at the door for as little as $20 or online here. Shelves and shelves of books, records, video and audio recordings are waiting just for you! 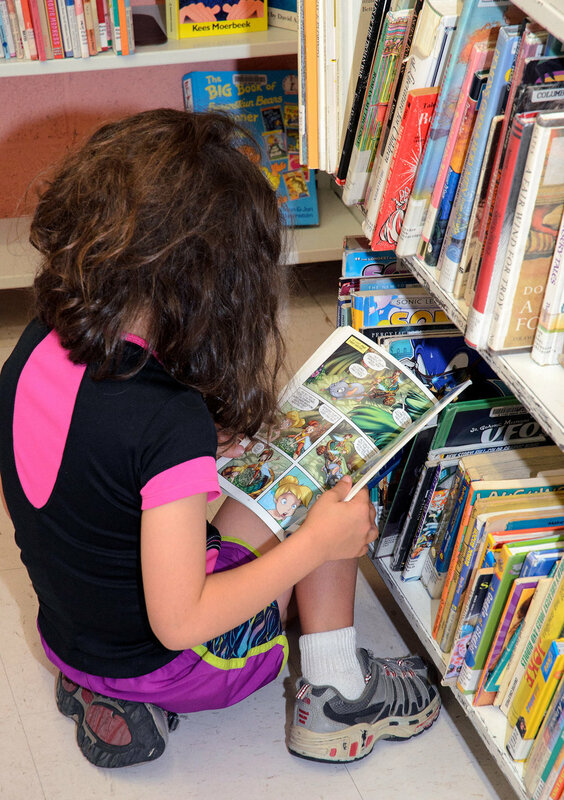 Come browse our carefully-curated selection featuring fiction, nonfiction, and books for kids and young adults. Choose from over 70 categories of books – carefully arranged so you can easily find what you are looking for! We also have a great selection of vinyl records, DVDs, CDs, audio books, and more. There are even games and puzzles, computer games and software available at most sales. With great deals on high-quality, used books from popular fiction to home improvement, cookbooks to military adventure, science to philosophy, as well as old favorites the Friends’ Book Sales are your best bet for finding inspiration, pursuing passion, and discovering your next favorite author. Looking for a particular interest? Ask one of our helpful volunteers to point you to the right section. Be sure to check out the Best of Friends room where we have more collectible, gift-quality, and unusual selections. Be sure to take a look around – there will be something to catch your eye! Sales are held once a month (except July & August) – please check our schedule for the next sale. Member Sales are held the weekend BEFORE the Community Sale. Not a member? You can join for as little as $20 at the door or online here. Monday: $10 Bag Day – Fill one of our bags with books for only $10. The Best of Friends room is closed on Bag Days. Book Sales are located centrally at 2230 N. Country Club Road (1/2 block south of Grant on the east side of Country Club across from Ace Hardware). We offer a 25% discount for active military & disabled veterans, Literacy Connects tutors, and Tucson Values Teachers members. Proper ID cards are required for discounts. Teachers can sign up with Tucson Values Teachers for free on its website www.tucsonvaluesteachers.org. Discount applies to regular prices and is not available on ½ Price days or Bag Days. For booksellers: You are welcome to shop at our sales but electronic scanning is not allowed during Member Sales. Scanning is allowed at our Community Sales but you must be considerate of other customers. You must scan at the shelf and not monopolize an area.